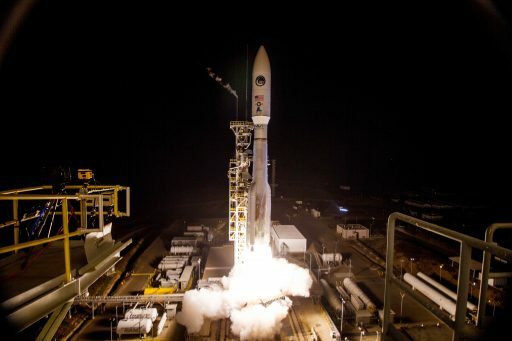 Thundering off on a hush-hush mission, ULA’s Atlas V rocket lit up the night skies over California on Saturday to deliver a classified satellite into orbit for the U.S. National Reconnaissance Office – joining a fleet of secret orbiting listening posts collecting vast amounts of communications and characterizing foreign ground sites from high above. Enlisting the help of four Solid Rocket Boosters, Atlas V catapulted off its Vandenberg Air Force Base launch pad at 10:49 p.m. local time, 5:49 UTC on Sunday. Carrying its clandestine NROL-42 payload into orbit along a coast-hugging trajectory, the ascending rocket could be spotted along the coast of California down to San Diego with spectacular plumes in the sky reported from multiple locations. The 62-meter tall rocket dropped its four boosters just shy of two minutes into the flight and continued on powered by the Russian-built RD-180 engine. When the five-meter payload fairing separated three and a half minutes after launch, Atlas V flew into the typical news blackout of NRO missions with no more information on the mission’s progress coming forward except for a confirmation of launch success some two hours after liftoff. Heading into a shroud of secrecy, Atlas V was expected to go through staging just over four minutes into the mission to hand powered flight duties over to the Centaur upper stage for what was expected to be a two-burn mission profile to boost the classified NROL-42 into a highly elliptical orbit peaking over the northern hemisphere. As one of numerous three-letter U.S. intelligence agencies, the National Reconnaissance Office goes through great lengths to keep its activities secret. Even the NROs existence was a closely guarded secret any only acknowledged in the 1990s, over three decades into the agency’s existence. 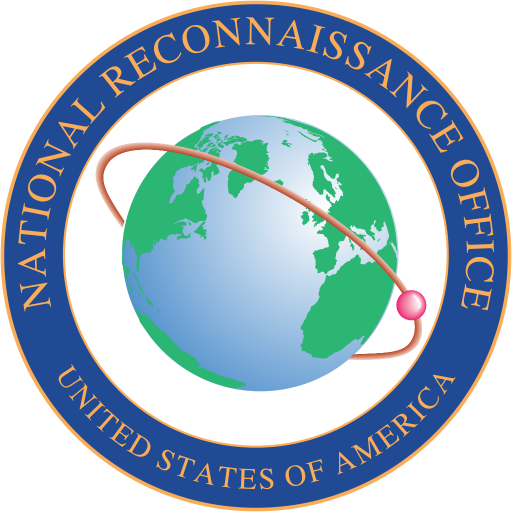 The NRO is tasked with the design, construction and operation of all U.S. reconnaissance satellites and delivers satellite intelligence to other three-letter agencies including the NSA, CIA and DIA. Despite the NRO’s efforts of secret-keeping, many of its satellite missions are well understood through declassified information on past projects, satellite trackers extracting a satellite’s function from its behavior in space and occasional leaks exposing ongoing programs. 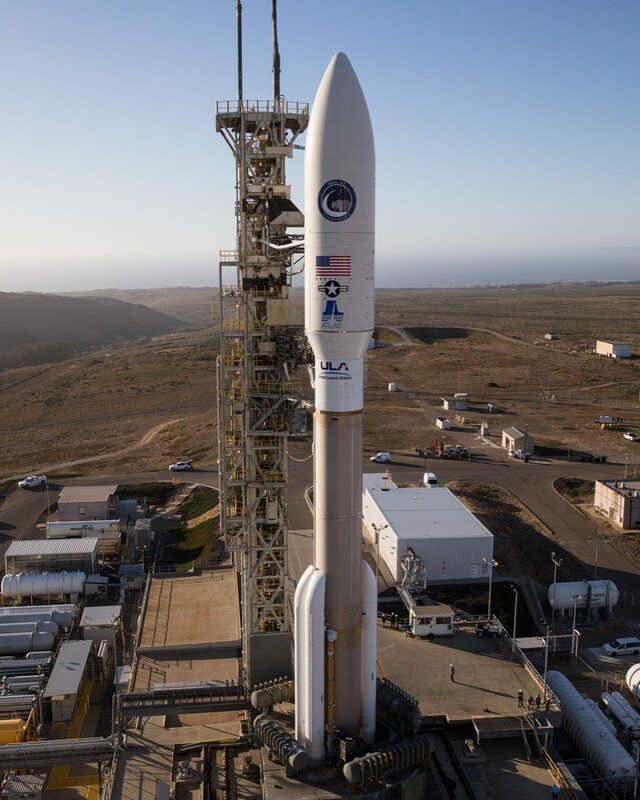 The case of NROL-42 was fairly straightforward as the mission appeared to be a clone of NROL-35 that launched in December 2014 also using an Atlas V 541 which was the only previous use of this particular vehicle configuration from the west coast. The two craft are believed to represent a new generation of signals intelligence satellites operating in specialized elliptical orbits to provide coverage of the northern regions where viewing angles are unfavorable for the NRO’s high-altitude listening assets in Geostationary Orbit. 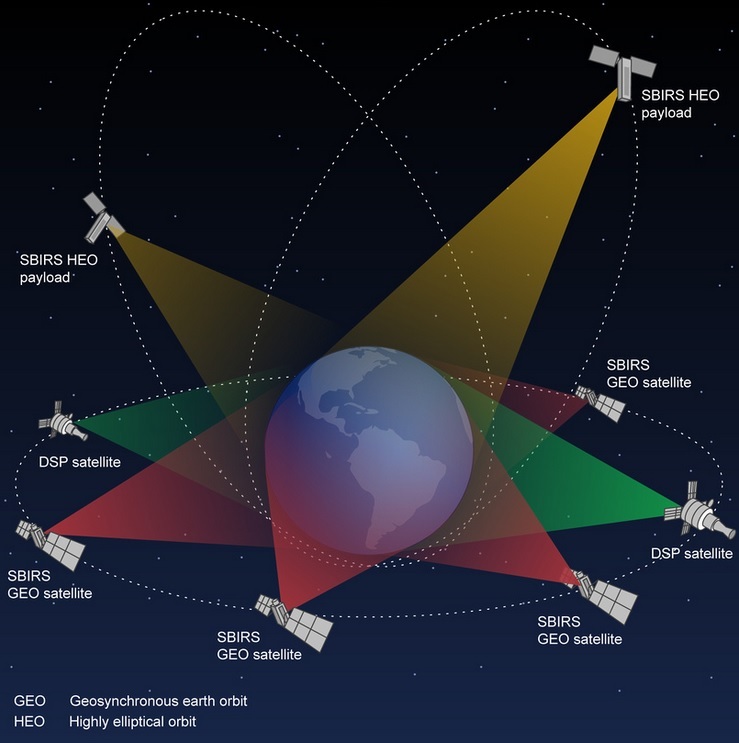 Flying under the code name Trumpet, these satellites and their predecessors host large deployable antennas to collect signals intelligence in the form of radio communication intercepts (COMINT) and gathering information on signal sources on foreign territory which can provide valuable strategic information on the properties of radars and other radio emitters (ELINT). Signals intelligence and image reconnaissance build the cornerstones of modern space-based intelligence collection with efforts underway by a number of nations to collect information from high above. The U.S. in particular has a long history of in-space signals collection, starting out in the late 60s when the NRO launched its first orbiting listening posts into the Geostationary Orbit regime via the Canyon and Rhyolite programs to intercept VHF/microwave communications, pin-point the location of emitters on the ground and capture telemetry from Soviet and Chinese missile systems. HEO (Highly Elliptical Orbit) signals intelligence was inaugurated in the early 1970s to patch up a blind spot of sorts as the GEO satellites only had limited coverage over the high-latitude regions of the Soviet Union. Flying under the code name Jumpseat, the satellites used specialized orbits with a duration of half a day and an apogee location over the northern hemisphere – allowing the satellites to dwell over the northern regions for several hours of their orbit. Jumpseat, as the primary collection post in Highly Elliptical Orbit, transitioned to Trumpet in the 1990s with three satellites reaching orbit to build a fully functional constellation with each satellite providing around eight hours of coverage per day. A pair of Trumpet Follow-On (FO) Satellites launched in 2006 and 2008 on Delta IV M+(4,2) and Atlas V 411 rockets, also hosting the Space-Based Infrared System HEO payloads to monitor missile activity in the northern regions. 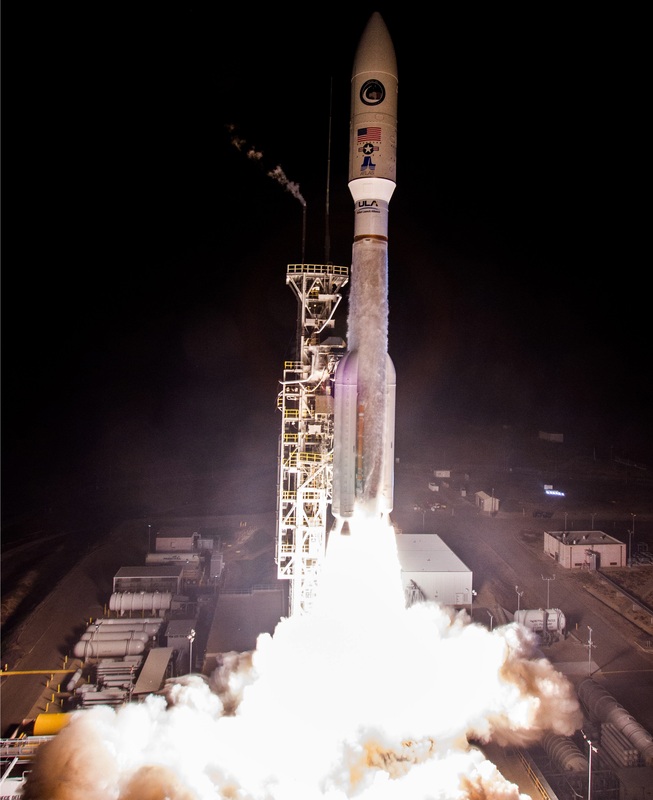 The NROL-35 and 42 missions are a follow-on to the Trumpet-FO satellites, rumored to be substantially different in terms of technology than their predecessors – a theory supported by the switch to the much more powerful Atlas V 541 rocket for the NROL-35 and 42 missions, offering a performance increase of nearly two metric tons over the 411 version. The satellites continue to serve as host for the 240-Kilogram SBIRS HEO payloads – NROL-35 is host to the HEO-3 payload and Northrop Grumman reported in 2015 that HEO-4 was ready for integration on its host, in-line with a two-year spacecraft integration and test campaign. At present, the NRO operates a number of Advanced Orion satellites drifting in Geostationary Orbit to collect communications and characterize all types of radio emitters on the ground. 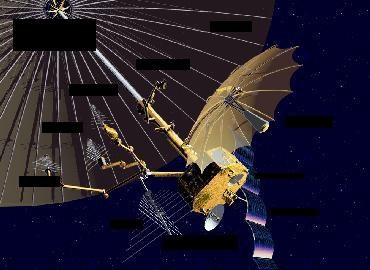 Other geostationary listening assets are flying under the Nemesis Program to capture entire satellite up-links, tasked by input from the NSA and CIA. Saturday night’s launch marked the 73rd Atlas V launch since its inauguration in 2001 and the fifth in 2017; it was the fifth flight of the Atlas V 541 variant that had been tasked with lifting NASA’s Curiosity rover, the GOES-R weather satellite and three classified payloads for the NRO. 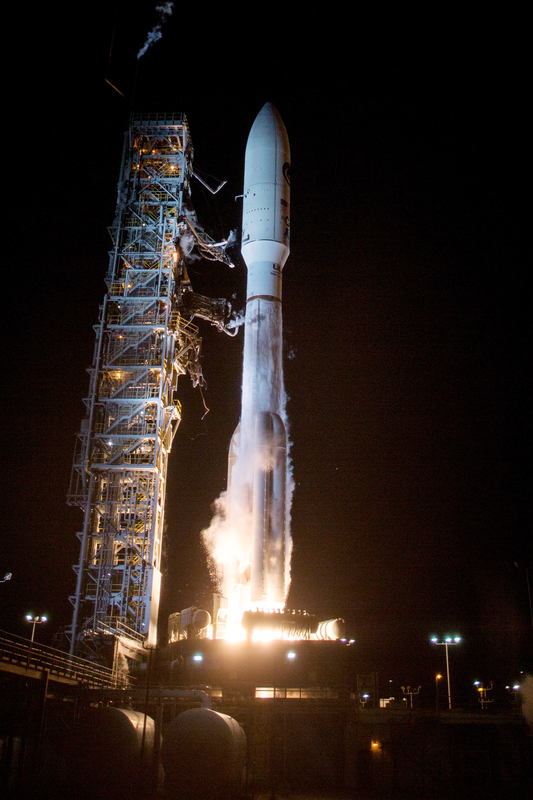 For ULA, the mission was the sixth of the year with another three on the manifest. It also marked the company’s 25th mission for the National Reconnaissance Office, representing a good chunk of ULA’s 121 missions completed to date. Coming back from a two-day delay, Atlas V enjoyed a very smooth countdown on Saturday – starting eight hours before the opening of the launch window with the activation of the launch vehicle for a detailed testing operation while workers at the pad put the finishing touches on the rocket and its ground equipment. The Mobile Service Tower rolled back from Atlas V at L-5 hours and day turned to night while final preparatory steps were underway to set the stage for tanking. Propellant loading started when the countdown resumed from a pre-planned hold at T-2 hours. Atlas V had already received 94,600 liters of Rocket Propellant 1 ahead of the count, leaving the first stage to be loaded with 185,500 liters of Liquid Oxygen and the Centaur upper stage received some 21 metric tons of -253°C Liquid Hydrogen and -183°C oxidizer. Tanking was by the book and weather – a watch item earlier in the week – shaped up as winds calmed down and the typical Vandenberg fog dissipated just enough to provide a clear view of the rocket atop its SLC-3E pad. Standing fully fueled, Atlas V headed into a second pre-planned hold at T-4 minutes to provide time for final polls and to switch the NROL-42 satellite into its launch configuration. Cleared via final polling of all stations, Atlas V needed two attempts at getting off the ground – the first ended at T-2 minutes and 39 seconds due to a loss of commanding on the Western Range, an issue that was quickly resolved to permit another attempt within the night’s classified launch window. 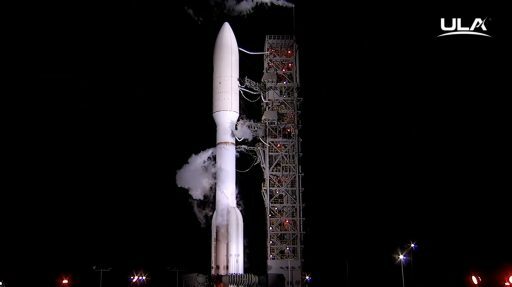 Entering its fully automated countdown sequence, Atlas V pressurized its tanks, switched to battery power, and assumed full control of the countdown leading up to ignition at T-2.7 seconds. Roaring to life, the two-chamber RD-180 engine was monitored closely as it throttled up to a launch thrust of 392 metric ton-force, passing the engine ready checkpoint at T-0 and setting in motion the ignition of the boosters at 0.8 seconds and catapulting the 540-metric-ton Atlas V off the ground at 5:49:47 UTC with a thrust of 1,080-metric-ton-force. Lighting up the night over Vandenberg, Atlas V balanced in a vertical posture for just six seconds before initiating its pitch and roll maneuver to attain a south-easterly heading toward an orbital inclination of 63°. 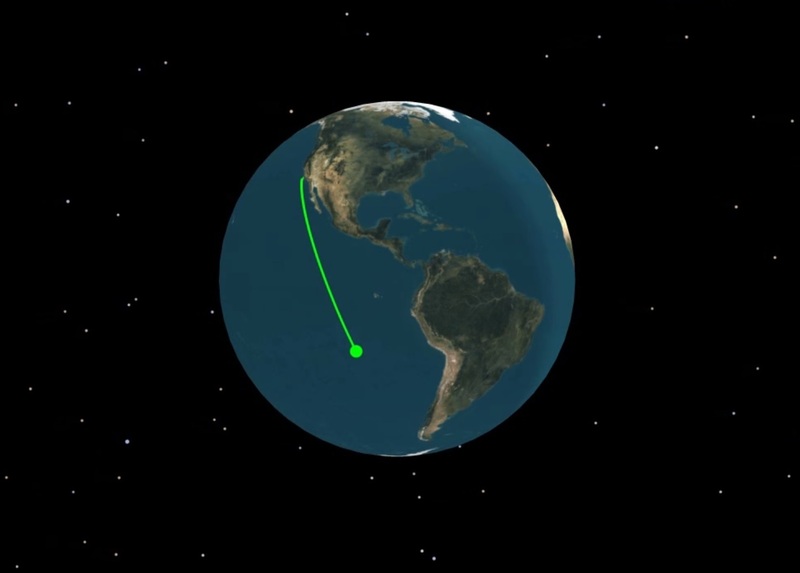 Navigational warnings issued for Saturday night’s launch were a close match with NROL-35 – confirming the mission’s destination as Molniya Orbit, a specialized elliptical orbit reaching peak altitude over the northern hemisphere and with an inclination of 63.3 or 116.6 degrees to remain undisturbed by Earth’s uneven gravitational field. 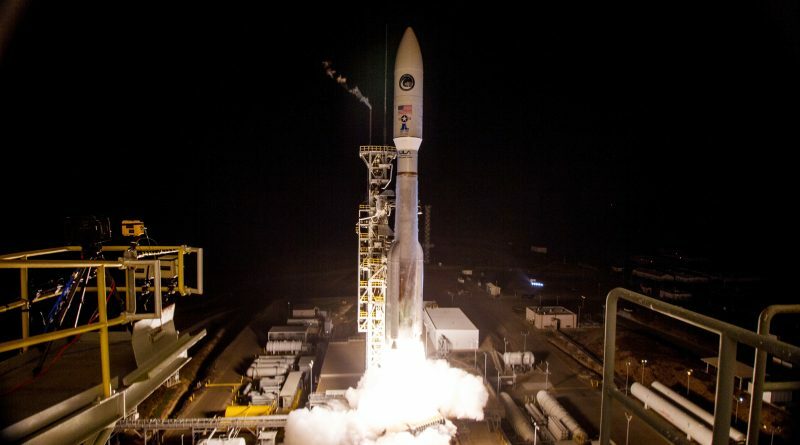 Burning 2,850 Kilograms of propellants every second of powered flight, Atlas V pushed through the sound barrier 35 seconds after launch and encountered Maximum Dynamic Pressure 12 seconds later with the RD-180 throttling back for a moment to reduce stress on the ascending vehicle. Each consuming nearly 41 metric tons of propellants to generate 172 metric-ton-force of thrust, the boosters burned out 94 seconds into the flight. Separation of the 17-meter long boosters occurred in pairs one minute and 51 seconds into the flight and Atlas V continued on towards orbit powered by the NPO Energomash RD-180 engine alone, increasing its thrust to 422 metric-ton-force as it departed the discernible atmosphere. Three minutes and 24 seconds into the flight, AV-072 had reached 120 Kilometers in altitude, traveling 3.6 Kilometers per second. At that point, Atlas V shed no-longer needed weight by splitting open and separating the protective payload fairing as the NROL-42 satellite could no longer be harmed by aerodynamic forces. Fairing separation marked the end of real time mission coverage as Atlas V headed on toward orbit without the public watching – a standard feature of NRO launches. Per the usual Atlas V launch procedure, the Common Core Booster was to continue firing until around T+4 minutes and 20 seconds into the flight at which point the RD-180 would be shut down followed six seconds later by stage separation and another ten seconds later by ignition of the Centaur upper stage. Firing up its 10,400-Kilogram-force RL-10C engine, Centaur was tasked with an initial burn into an elliptical parking orbit followed by a period of coasting before a second burn in the southern hemisphere that was designed to significantly raise the orbit’s high point and bring up the perigee as well. United Launch Alliance confirmed the successful outcome of the night’s launch two hours and ten minutes after Atlas V lifted off – confirming NROL-42 had been delivered to its target orbit.